Imagine, seeing clearly without glasses balanced on the end of your nose. 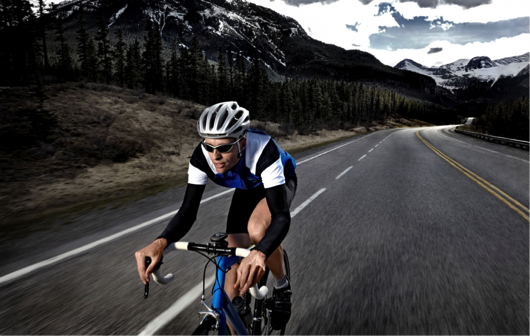 Eyewear can slip out of place or get knocked off your head during strenuous activity. When that happens you’re out of the game and most times out of a pair of glasses, if broken. Most athletes prefer the improved depth perception and the enhanced peripheral vision that is provided by contact lenses. They also prefer cool sunglasses, like Oakleys or Ray-Bans when they are working out. Even if you don’t want to wear contacts everyday you can now wear soft, safe, comfortable one day lenses, just wear them once and throw them away! Great for part time wear! We specialize in fitting contact lenses for the weekend warrior. Biking, golfing, playing tennis or racquetball, running or just working out at the gym, virtually every athletic pursuit is more comfortable with contact lenses. Think of contact lenses as another piece of equipment to improve your game. Contact lenses in any prescription! One day lenses are now available in virtually any prescription. Wear them every day or just when you are extra active. Many modern designs are soft and supple. They are very light on the eye, lending them to successful part time wear. Parrelli Optical® offers a free in-office evaluation. Try them! You’ll be glad that you did.